Our 520W off-grid starter kit contains all the component parts for the solar power system. 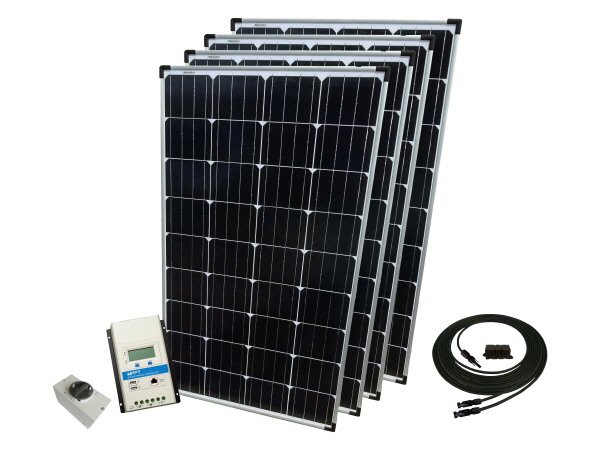 Included are four high performance 130W solar panels, cables, connectors, fuse and fuse holder a DC switch and a state of the art MPPT solar controller. Applications for our 24V off-grid solar systems include, remote location homes in the UK and abroad, home office, summer houses, workshops, static caravans, stables and outbuildings. This kit is ideal for customers who already possess 12 VDC batteries, if required batteries and power inverters can be added to the cart from the Often purchased together items.